Image March 2 – Mardi Gras! 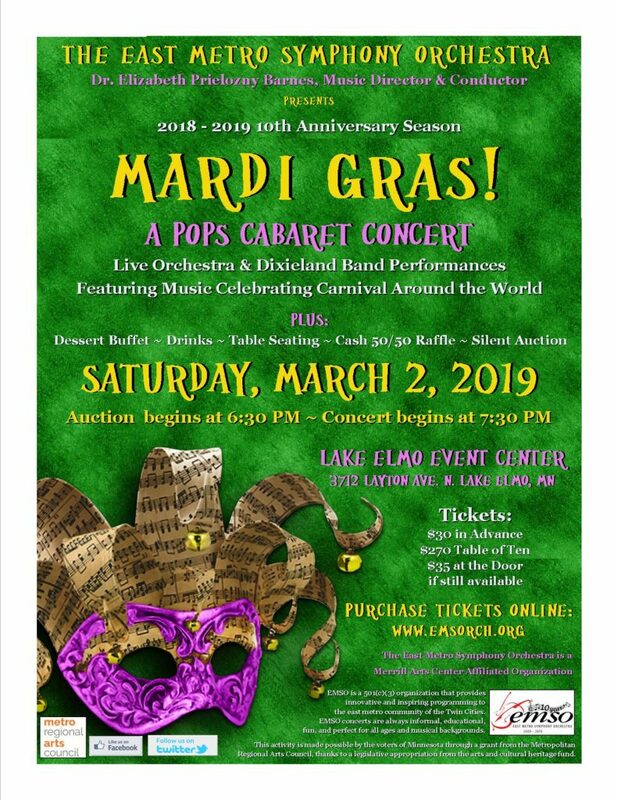 The East Metro Symphony Orchestra (EMSO) is pleased to present Mardi Gras!, the fourth annual EMSO pops cabaret concert and fundraiser. EMSO will host the evening of live music, desserts, drinks, cash raffle, and silent auction, on Saturday, March 2, 2019 at the Lake Elmo Event Center, 3712 Layton Avenue North, Lake Elmo, MN. Doors and bidding open at 6:30 p.m. The musical performance starts at 7:30 p.m. Proceeds from this event will benefit the orchestra’s artistic and community outreach endeavors. Tickets will be sold at the door if available for $35. 10th Annual Side-By-Side Concert Tuesday, November 20, 3018 at 7:30 p.m. East Ridge High School Free Admission The East Metro Symphony Orchestra is proud to partner with the East Ridge High School Orchestra for its10th annual Side-By-Side Concert. 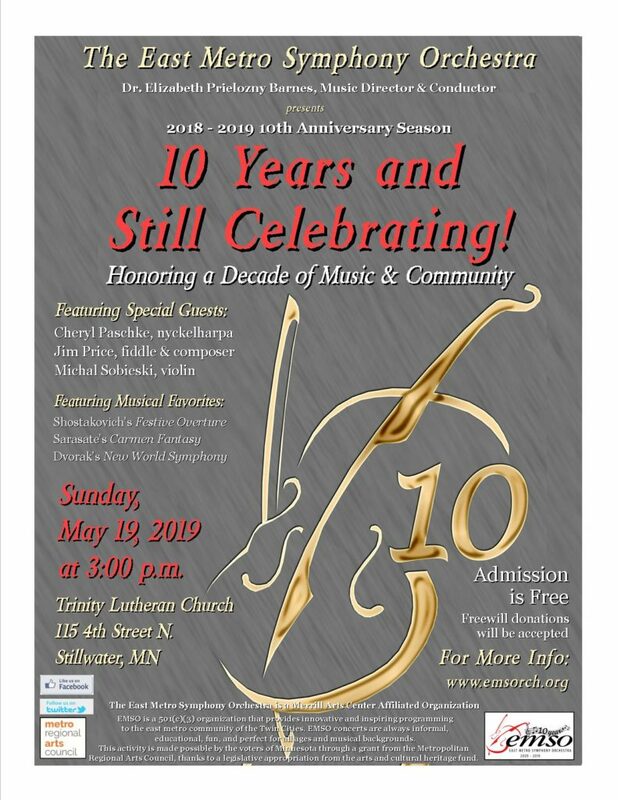 This annual musical event features young high school orchestra students playing side-by-side with the seasoned musicians of EMSO.